The Peter Lynn Escape is the allround freeride/freestyle/wave kite with a medium Aspect Ratio and a 4 strut setup, for the best crossover between ease of use and accessible performance. 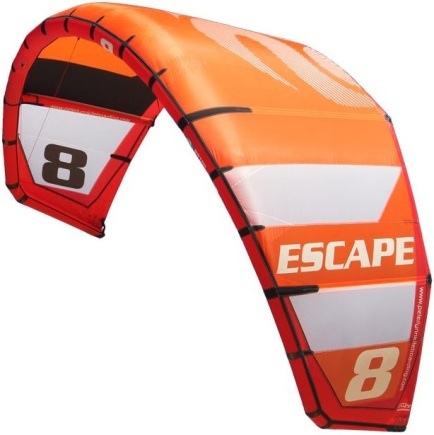 The Escape is a kite that will be most valued by riders who want to improve their skills and progress. From wakestyle to ripping some waves and from the first jumps to new school kiteloops. 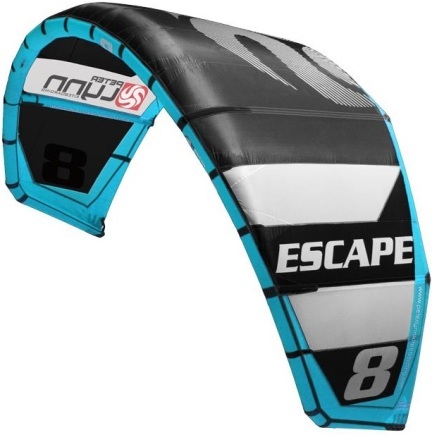 This is a truly outstanding allround kite that takes riders to the next level. The feedback through the bar is so intuitive, the rider will feel assured from the start. Riding the Escape in stronger winds, the rider will feel in control and can take advantage of the performance this kite has to offer. Big jumps and kiteloops can be handled with ease. In the low wind range the kite is very forgiving while already offering performance.